Please help us to spread the word and raise funds to buy a Nuclear Bus to tour Europe raising awareness of the role that nuclear energy plays in protecting the environment and preventing climate change. Visit our Go Fund Me page here. 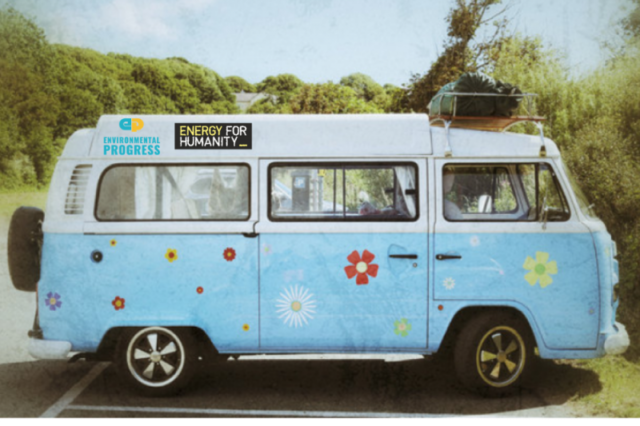 Our plan is to purchase a “nuclear tour bus”, paint it colorful with pro-environmental messages and our logos (Energy for Humanity & Environmental Progress ) and then make several road trips with it over the next years through Europe. The goal is to a) raise awareness for the premature shutdown of nuclear plants but also b) investigate the real truth how this leads to more coal & lignite, harms the environment and the local population and reduces security of supply. The first trip is planned in September 2017 from Berlin to Jänschwalde lignite mine & plant to Gundremmingen nuclear plant to Beznau nuclear plant to Fessenheim nuclear plant to Paris, France. This is why we are now fundraising to buy a used VW-bus. We estimate that we need about 15,000 Swiss Francs (= USD) to get a good bus that will last for some years and not leave us stranded at the side of the street too soon! Also, it is kind of urgent, so we are hoping to get the funding together in August 2017 so we can still paint the bus! Nuclear Safety: Too much information?